I have just discovered the Buckle web site and wanted to share the discovery. The first great thing about Buckle is that you can select jeans by length of inseam. It seems like such an obvious idea you'd think every online store can do it. When you know that only 5% or 10% of the jeans are going to be suitable for tall men, sites without this facility are really frustrating! (web site authors please take the hint!). 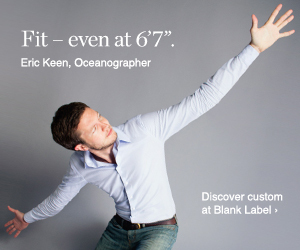 The second great thing is that as well as their own BKE range, they offer long jeans from some other higher end brands, with a 36 inseam from at least ten brands including Silver, MEK, Big Star, Hurley and Affliction. In fact, you can find long fittings in these jeans on Buckle that aren't available through other sites, even the brands' own web sites. If you need a 38 inch inside leg, the choice is still limited. There are five styles from BKE and the Tyler pictured below is available in 32 - 40 inch waist. There is also one style of the Big Star Vintage voyager. All the rest of the brands below come in a 36" inside leg. I have to mention Big Star first, as it is the only brand of jeans I have ever heard of to come out of the city of Basel, Switzerland, that I have a personal affection for. Basel is not generally considered on a level with Los Angeles for fashion, so Big Star may be its one claim to fashion fame! The brand is now Polish owned, and clearly they take their denim seriously, because the models on the web site wear the jeans and nothing else. To save time, the following link takes you directly to the ladies' section on the Big Star web site. Lucky Brand on the other hand does come straight from Los Angeles and features some styles with an 'X-LONG' 36.5" inside leg. Affliction (motto "Live Fast") has a very distinctive style, using "divinely executed, dark and powerful themes" as they describe it themselves. The jeans available in a 36" leg are stylish but not outrageous, and Affliction also has a large selection of men's tops on Buckle. MEK Denim is another distinctive, stylish denim brand from Los Angeles. Sold through selected outlets, such as Nordstrom's and Buckle, MEK is well worth a look if you want jeans that really have some character. Not being used to having the choice of eight brands in one place for jeans, I'm getting quite overwhelmed now, and can only mention in passing the premium Canadian brand of Silver, the surfer culture inspired Hurley, Manchester and last but not least, Buffalo Jeans. If it helps you with choosing, click below to see jeans that are on sale right now for $20 - $30 off a number of BKE styles as well as other brands. You can even select the sale items by inside leg. Genius. After all this, I have to admit I haven't yet ordered from Buckle, although it's only a matter of time. However, I know that a number of tall people who have used them recommend them highly. To be fair, a few other sites do let you select tall jeans by inseam - one other site that does is the Amazom.com Denim Shop. For links to 36 inch and 38 inch inseam jeans from all over the web in a simple graphical format, try the link below. Enjoy! Here is the only piece of bad news - Buckle is a US company so delivery outside the US means you'll have to pay for that choice. But they do ship to a wide range of countries. Meanwhile, if anyone can suggest a site in the UK or elsewhere in Europe that allows you to select trousers by length, we'd love to hear - leave us a comment now! I found buckle.com a while ago, and have been super stoked and glued to their selection of 36" inseam jeans ever since!